Capsules for the prevention and treatment of constipation. Contains plant extracts and dried fruits that promote efficacious intestinal activity. Ingredients: aloe vera, plantago, plums, figs, fennel. Inactive ingredients: magnesium stearate, tricalcium phosphate, cellulose. 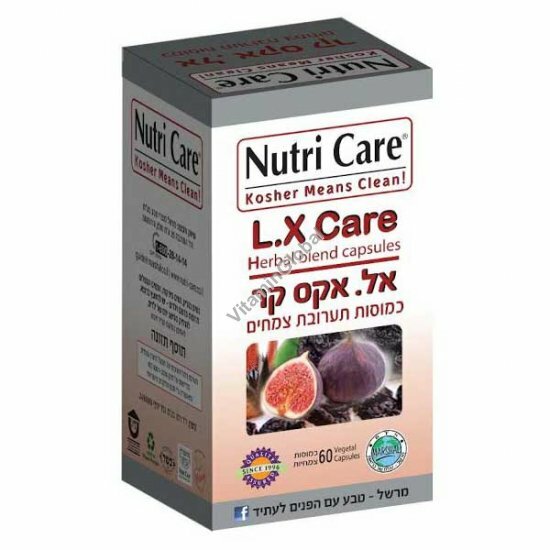 Laxi Care capsules do not contain: sugar, salt, yeast, wheat, gluten, soy, milk, corn, eggs, or preservatives. Instructions for use: 1-3 capsules a day as needed. Pregnant women, breastfeeding women, people on medications, and parents treating children should contact their doctor before use. The above information does not constitute medical advice. In case of a medical problem, contact your doctor.